Investing isn’t something to take lightly, especially when you’re dealing with real estate. There’s much to consider: How much do I want to invest? How long until I see a return? What will the market do? How difficult will it be to rent? When should I buy? All fair questions — some more difficult to answer than others. So, if you’re considering to invest in the Dallas/Fort Worth real estate market, we have answers. The DFW housing market is undoubtedly rising. It’s a hot place to invest, and here’s why. 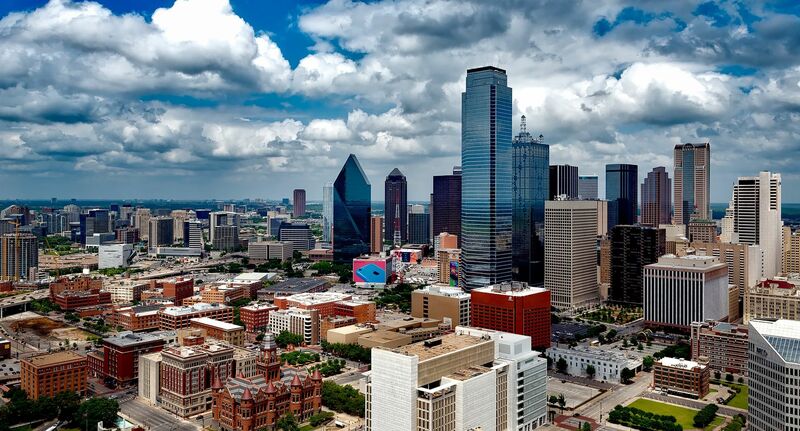 What Makes Dallas a Great Investment? You’re looking for good tenants. And where are the good tenants? They’re where the jobs are. One reason the Texas job market continues to boom is that there’s no state income tax. Businesses keep moving here — saving the companies tons of money and hiring lots of people. But Dallas doesn’t just have a thriving job market. Dallas area schools continually rank among the best in the country. Based on public data sets and millions of reviews, Niche ranks school districts such as Plano, Richardson, Allen, McKinney, Grapevine, Flower Mound, and Frisco with A's across the board. For all the perks that come with living in the Dallas Metroplex — including the top-notch schools and job market — it’s still relatively affordable. The average home price of $233K falls below the US average. But it’s rising. Experts at Forbes and Local Market Monitor estimate the home prices will increase more in Dallas than in any other city in the country. Just last year, it jumped nine percent. So, if you’re looking to invest, now’s the time to get in the Dallas housing market. Who Should Invest in the Dallas Market? Whether you’re a well-seasoned investor or looking to buy your first investment property, cash flow is key. And houses that lend themselves to positive cash flow are good for anyone. There’s a lot of investor interest in Dallas right now, so the biggest challenge is getting in the market. You need to know what you’re looking for. Then act aggressively and immediately when you find it. When a good deal comes up, it can be a multiple-offer situation in a matter of minutes — cash buyers included. So before you buy, work with an agent to narrow your search. Then you can be ready to act as soon as the right house comes on the market. For the North Dallas housing market, 2017 continues to be great. But no matter when or where you buy, make sure you have someone local who knows what’s going on. Bottom line: You need cash flow. No matter how nice the house is or how good of a deal it seems to be, you need the right numbers for the investment to make sense. So use an expert that can give you realistic rental rates for the specific area and make sure your comps are good for the purchase. If your rent estimate is off by even $100, that could be the difference in your profits turning red or green. No matter where you buy or how expensive the property, it’s all about cash flow. Any other questions? Give us a call so we can answer them. Then, once you’re ready to get started, our experts will help you find the right property in the right place with the right cash flow.